"For Business purposes: An SMS can convey your promo or special discount details. You can include your web link, facebook page, online payment link and send your text message to any demography in Nigeria." It is as simple as that, so you do not have to worry if your Debit Card is not with you. You can just buy your SMS Units on the go! Wherever you are. 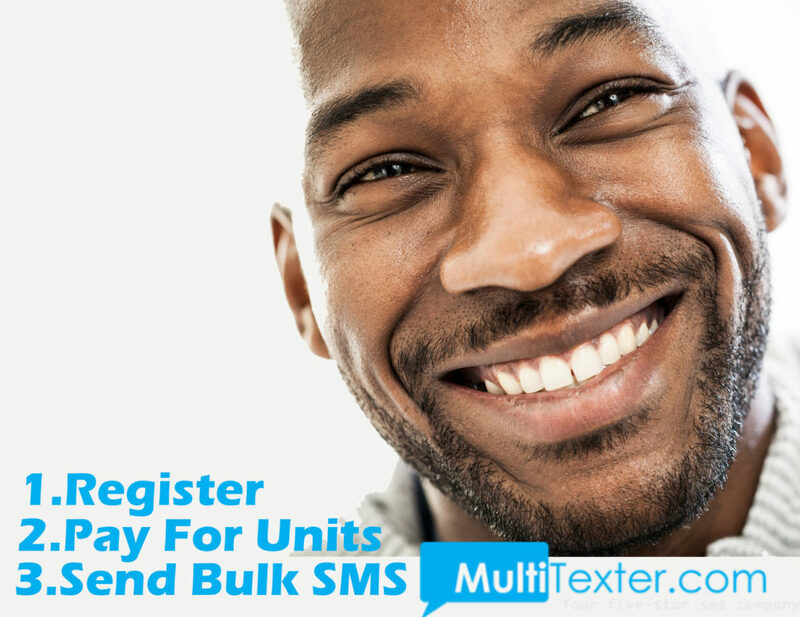 How does this Bulk SMS work on MultiTexter? You can check out our pricing and choose the best bulk sms pack. Step 4: You will receive an SMS and Email alert or notifications that you have been credited. Step 5: Compose your wedding invites with the samples. Fill in your customized Sender Name (BrideGroom), add the numbers and Send! CAN I BUY BULK SMS WITH AIRTIME OR DATA IN NIGERIA? 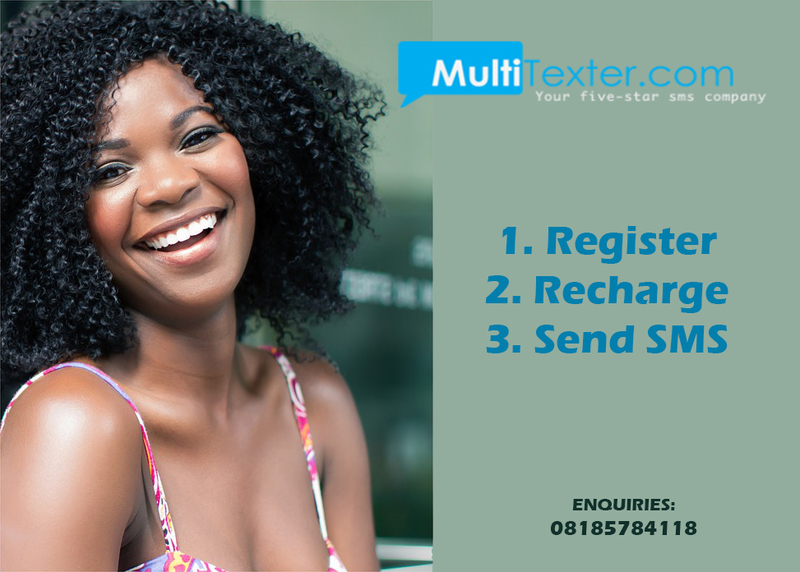 First, note that you can ONLY BUY BULK SMS on Multitexter by making PAYMENTS only. 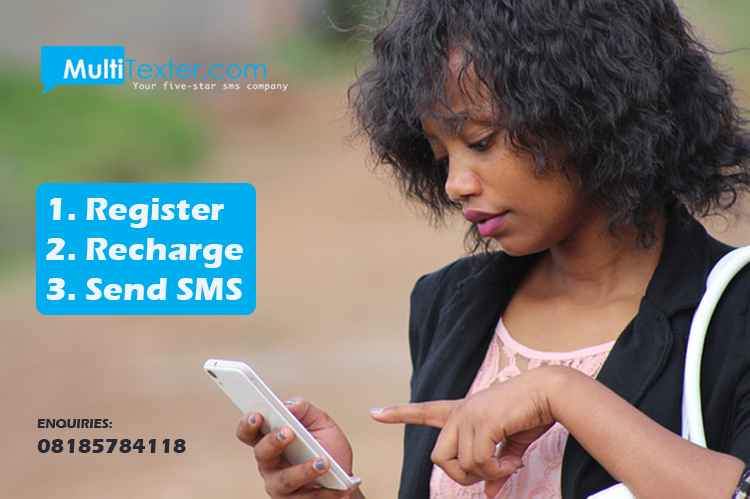 Recharging your bulk SMS doesn't work with Airtime or internet data. [caption id="attachment_2736" align="aligncenter" width="626"] Click Image To Send bulk SMS. [/caption] Of course, your phone must be connected to internet data by turning on your data connection and if you use your airtime for data usage, ensure you have airtime too. 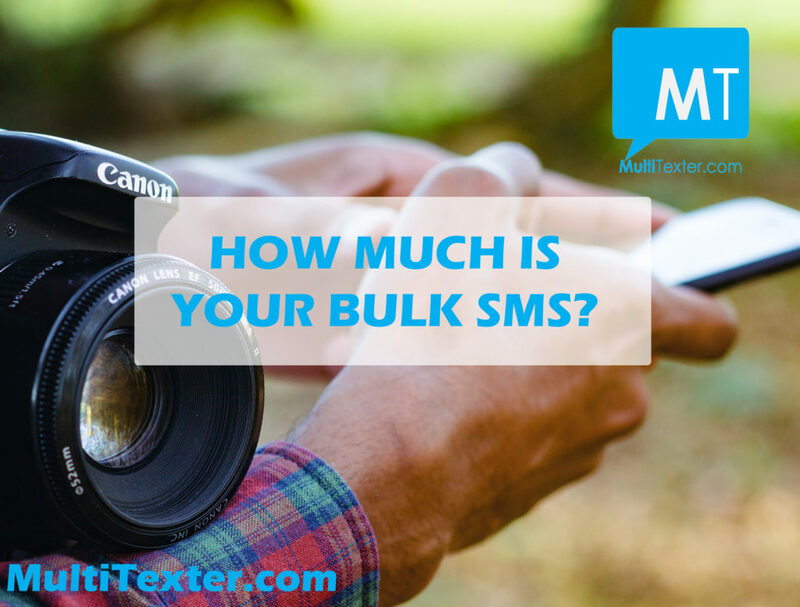 Read more on the cost of sending bulk SMS on Multitexter. Buy bulk SMS units through MOBILE TRANSFER or BANK DEPOSIT into any of our accounts below; Account Name: LORDANDI SOLUTIONSCORP Zenith 1013623868 GTBank 0050933658 Diamond 0057723432 First Bank 2025330474 Use Email as Depositor’s name for bank deposit or as Narration/Remark (on bank mobile app) for mobile transfer. The SMS units doesn’t EXPIRE at all. 2. BANK or CASH DEPOSIT You can buy bulk SMS by paying cash into any of our accounts, fill your registered email as depositor's name. 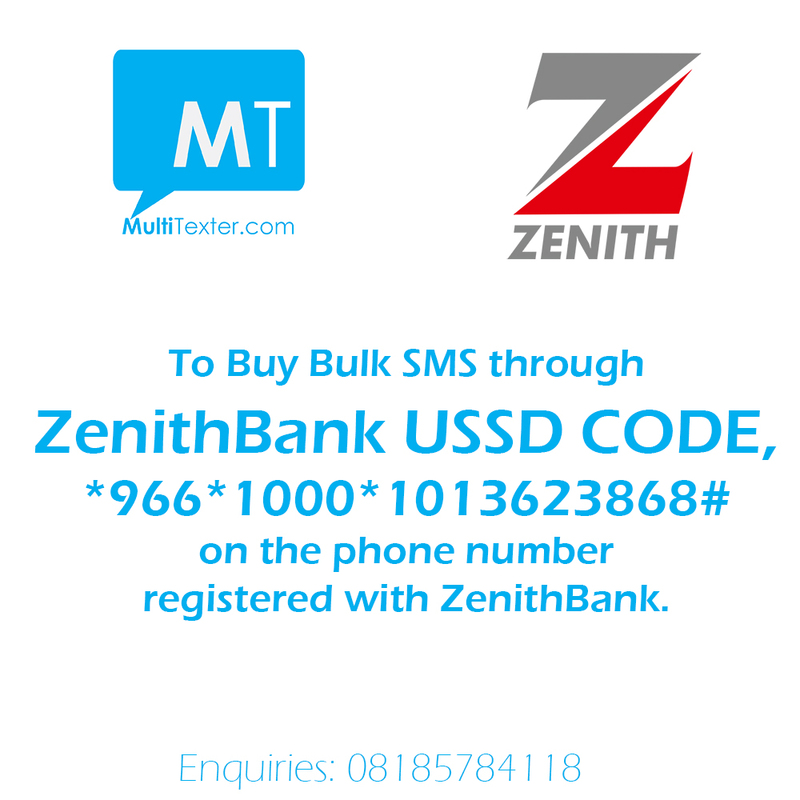 Account Name: LORDANDI SOLUTIONSCORP Zenith 1013623868 GTBank 0050933658 Diamond 0057723432 First Bank 2025330474 Immediately the bank posts your payment your MultiTexter Bulk SMS account will be credited. 3. PAY ONLINE WITH DEBIT CARD/CREDIT CARD With your Mastercard/Verve or any type of debit card, you can buy bulk SMS units ONLINE on our bulk SMS website or bulk SMS app. BULK SMS FAQ: HOW MUCH IS YOUR BULK SMS? "What are the cost per message to a number and I would like to know the meaning of unit?" Answer: The costs per message or bulk SMS depends on the volumes. 1 SMS page is 1 SMS unit. 1 SMS page is 160 characters, like your typical standard text. For example, N1000 can help you send 1 SMS page to 500 numbers. N19,000 can get you to send 1 SMS page to 10,000 numbers. Open a bulk SMS account in 5-10 seconds to see more details. What is the meaning of unit? 1 unit is 1 SMS page to 1 number. What is the validity of the unit? 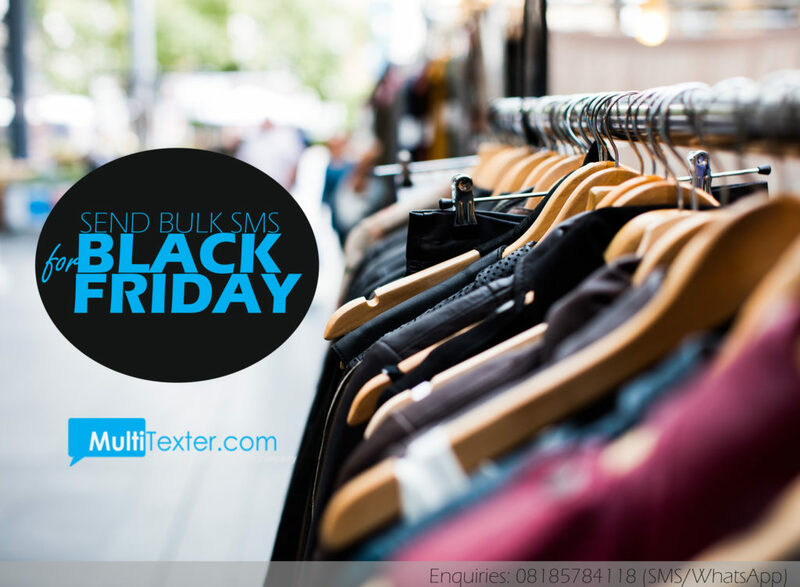 The bulk SMS units doesn’t expire on Multitexter.com. So you can use your remaining units any time until you exhaust it. How do I buy bulk SMS here? 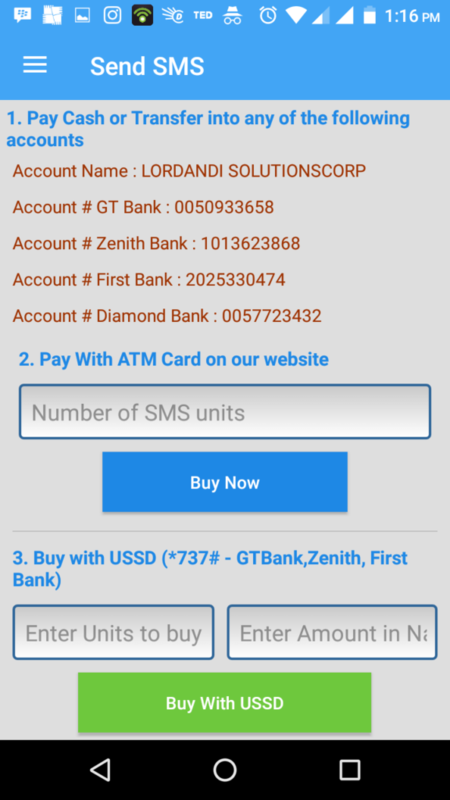 Buy bulk SMS units by making payments into any of our accounts below; Account Name: LORDANDI SOLUTIONSCORP Zenith 1013623868 GTBank 0050933658 Diamond 0057723432 First Bank 2025330474 Use Email as Depositor’s name for bank deposit or as Narration/Remark (on bank mobile app) for mobile transfer. The SMS units doesn’t EXPIRE at all. More updates are on Facebook, Google+, Twitter and Instagram. 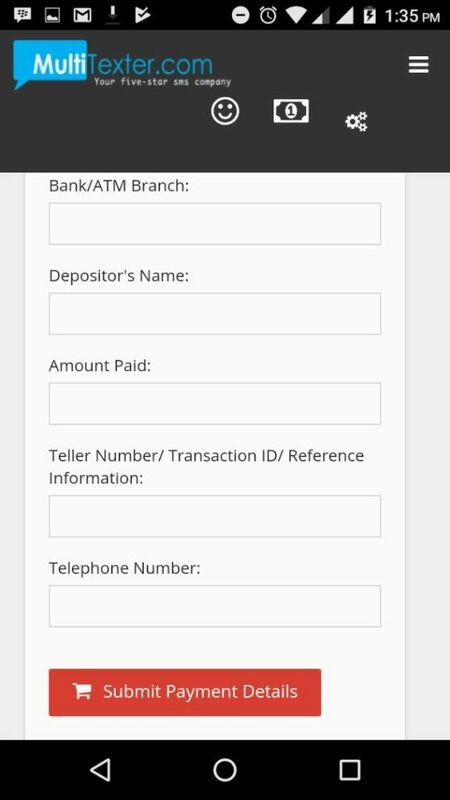 Depositor's Name/ Transfer's Account Name: The name on depositor's name on the deposit slip or teller OR your Bank account name you used for the mobile or USSD code transfer. Amount: The Amount you paid or transferred. 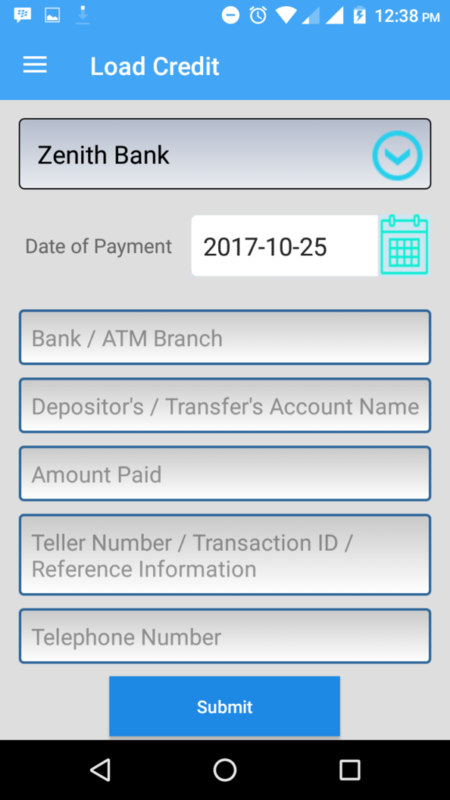 Teller Number/Transaction ID/Reference Informtion: Teller Number is the Serial Number on the deposit slip given to you after depositing cash. 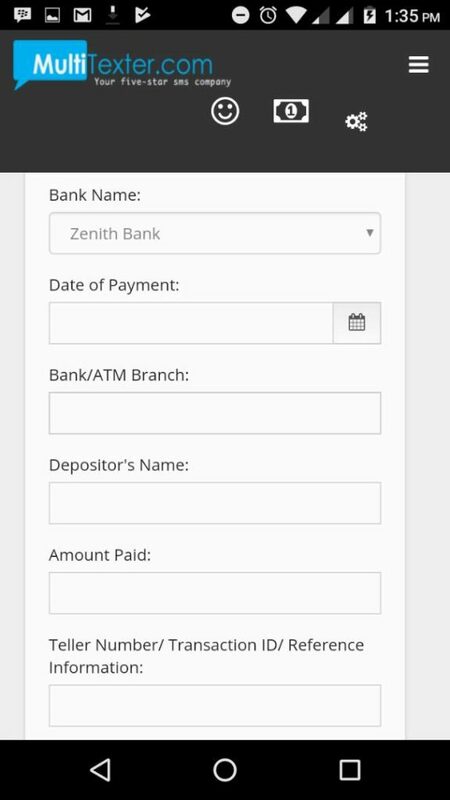 Transaction ID/Ref ID is the generated Serial number on your Debit alert after your transfer. Telephone Number: The phone number used for USSD code transfer. With our Bulk SMS App (free), you can send your bulk SMS directly to your phone contacts. 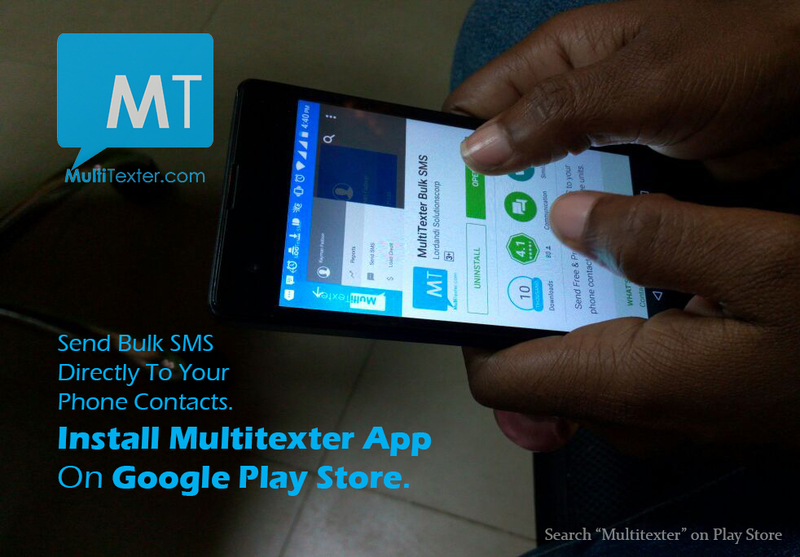 Step 1: Install MultiTexter Bulk SMS App on your Android phone. [caption id="attachment_2940" align="aligncenter" width="982"] Click Image To Install Bulk SMS App. 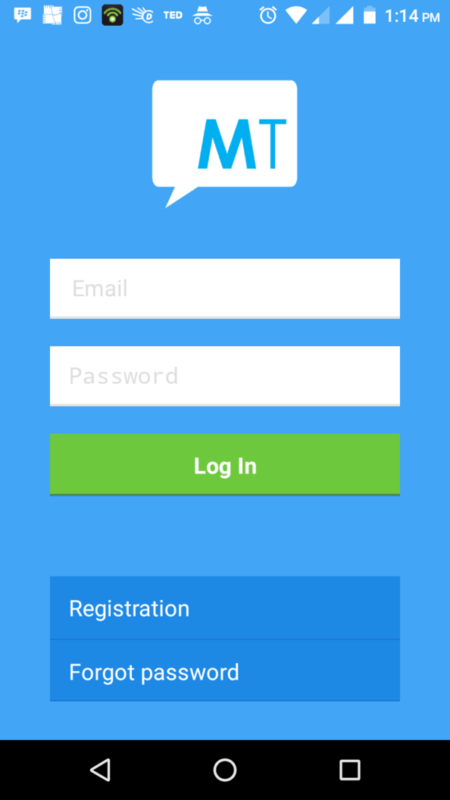 [/caption] Step 2: Register on the mobile app. Click "Registration" Step 3: Login with your email and password. 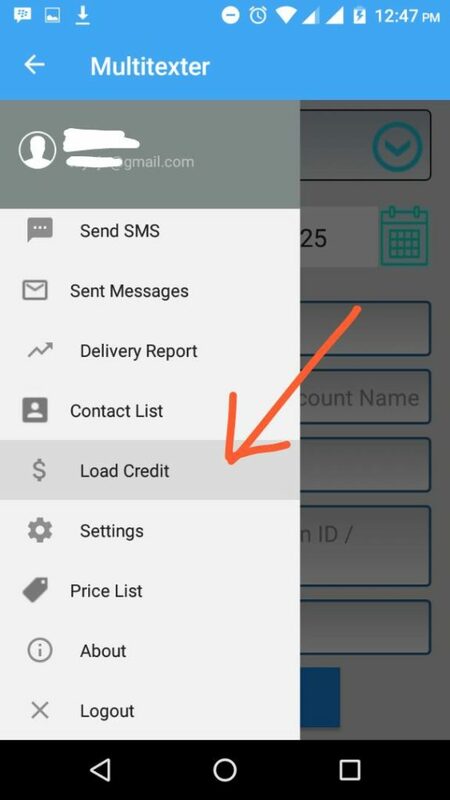 Step 4: Click the “Top Left Icon” and Click “Load Credit” to buy bulk SMS. You can pay online with your debit card/credit card. 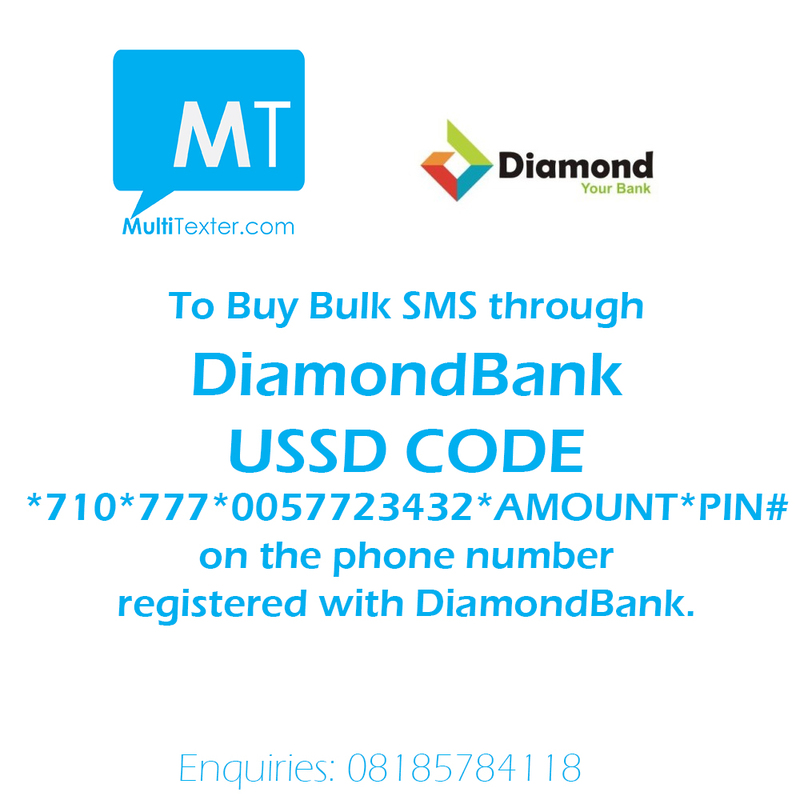 You can make a mobile transfer or USSD code or Bank deposit or ATM machine transfer. 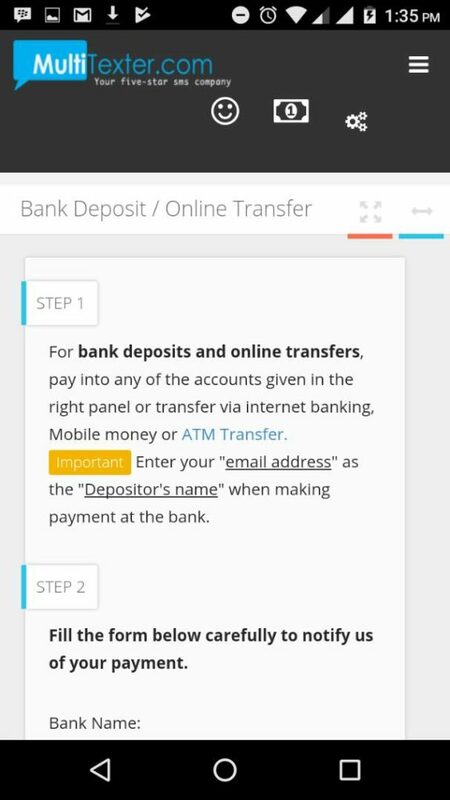 Simply fill your email as depositor’s name (deposit) or as the remark (bank’s mobile app transfer). You can also call 08185784118 for assistance. Step 5: You will get credited with the SMS units after paying. Compose your Message, Click the Icon on the Recipient's box. Where you can also type the numbers, separated with a comma only. 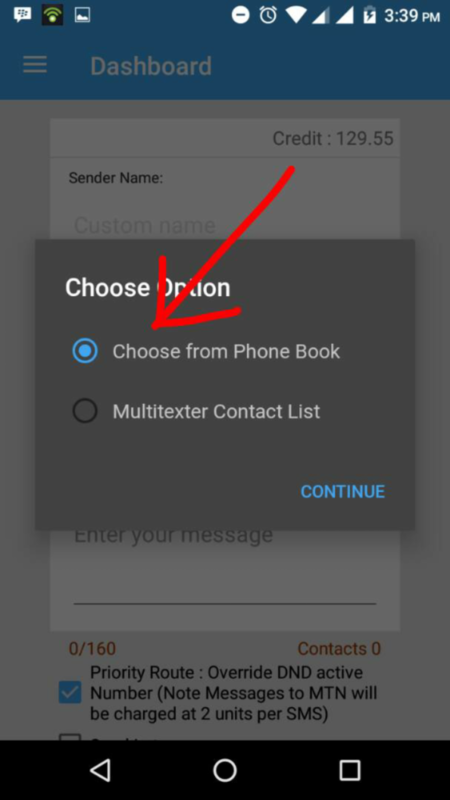 See Image below; After clicking the icon by the Recipients box, you select your PHONE CONTACT on the pop out. Select the numbers you want to send to or all your contacts and click ADD. Then Click SEND! Your bulk SMS get delivered to all your phone contacts right away. 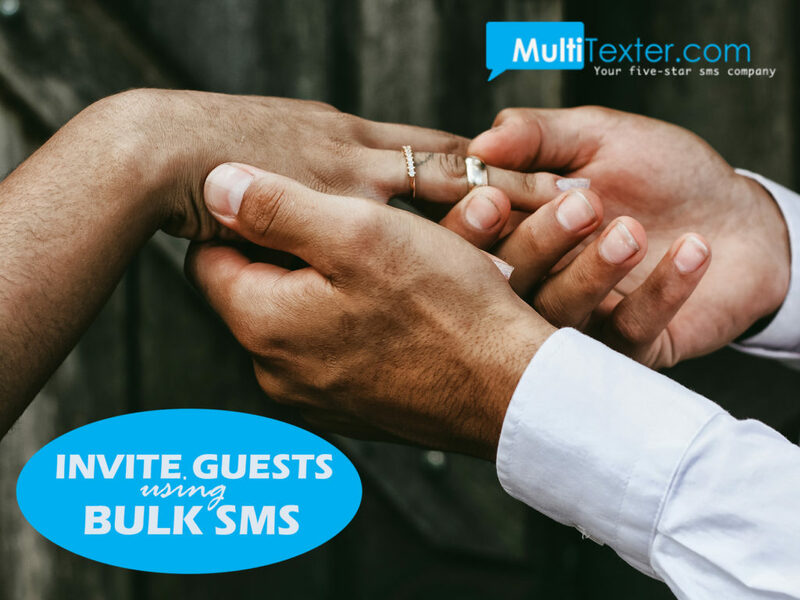 Read more on How To Save Contacts On Your MultiTexter Contact List, so you don't have to always type all your contacts anytime you want to send bulk SMS. Cheers. How do I add or insert numbers when sending my bulk SMS? 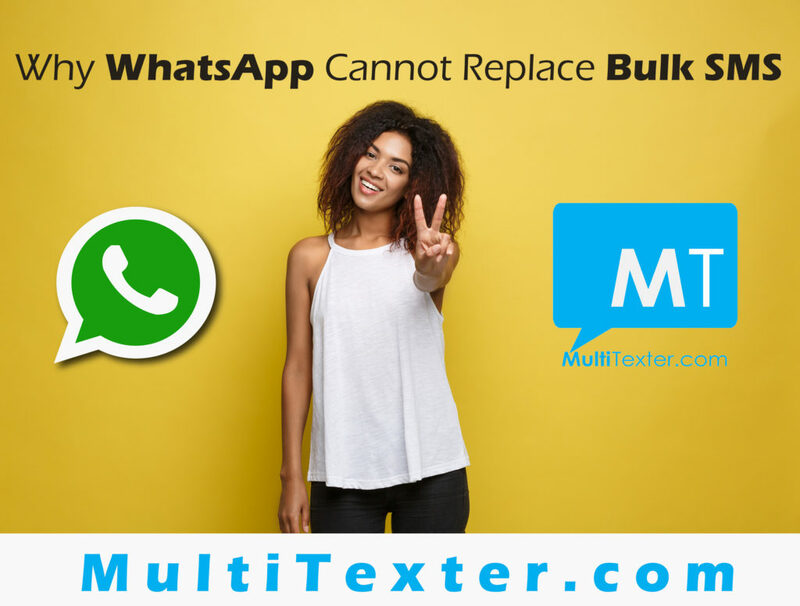 On Multitexter.com, after you have opened a bulk SMS account and you have recharged for units certain steps should be taken to ensure you send your bulk SMS that delivers. On our bulk sms mobile app, you can select your phone contacts to send your bulk SMS to. 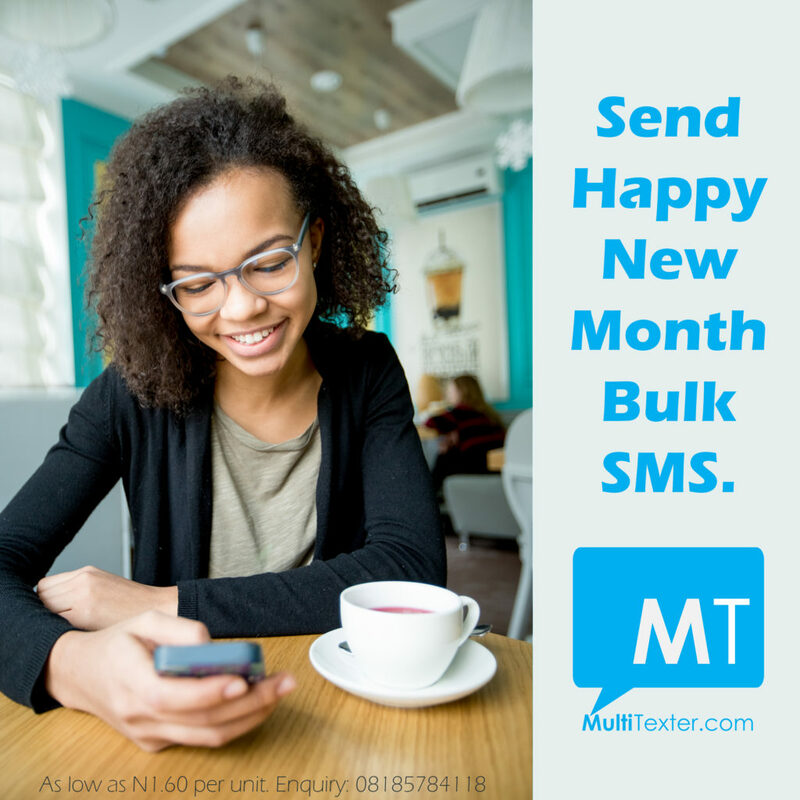 But let's show how to properly insert or add numbers on the bulk sms mobile website and bulk sms mobile app [caption id="attachment_2913" align="aligncenter" width="651"] Insert Numbers On MultiTexter Mobile Website[/caption] INSERT YOUR NUMBERS either in 234803 or 0803 formats. And SEPARATE the numbers with comma only. Like this; 23480312345678,23480312345678 or 08185784118,08185784118. We advise you use the same format for the number, especially on our bulk sms website Multitexter.com. This is will help sort out duplicate numbers (when you copy and paste large numbers). 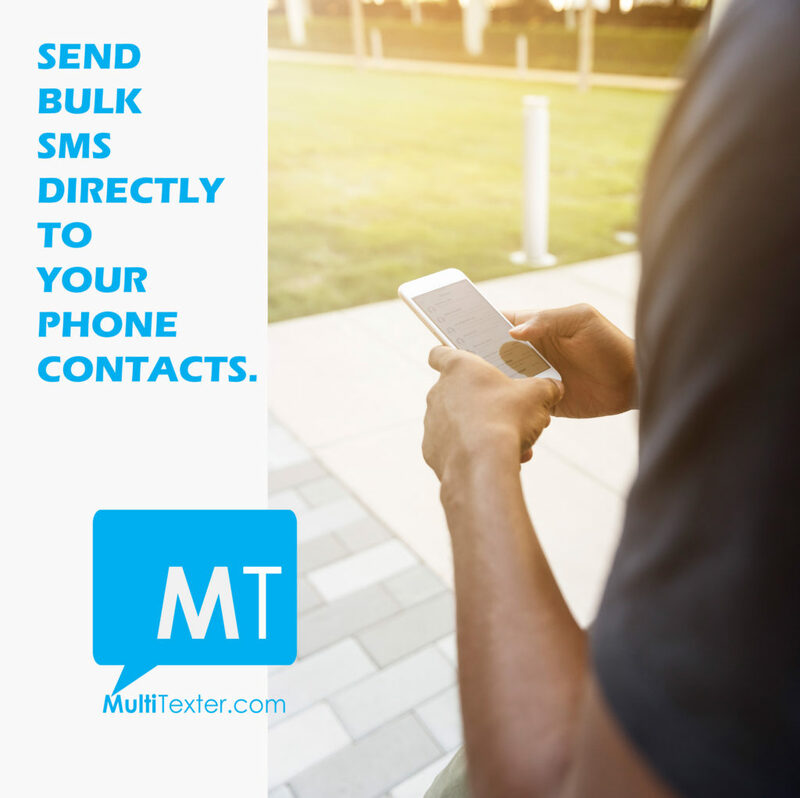 You can send bulk SMS directly to your phone contacts with our MultiTexter Mobile App. Simply click the icon on the Recipients box. See screenshot below. Then Click the Phone Contacts to select the numbers from your Android phone contacts. Why we believe WhatsApp or any other messaging app cannot replace bulk SMS anytime soon. Nigeria has a lower internet penetration compared to non-internet users or mobile phones. About 97 million are internet users, very low compared to mobile users which are above 150 million. This means the number of people who receive SMS or text messages is still far more than WhatsApp users. The prices of feature phones (not the smartphone) and smartphones are far apart. This is why more people still use feature phones than internet-connected phones or smartphones. 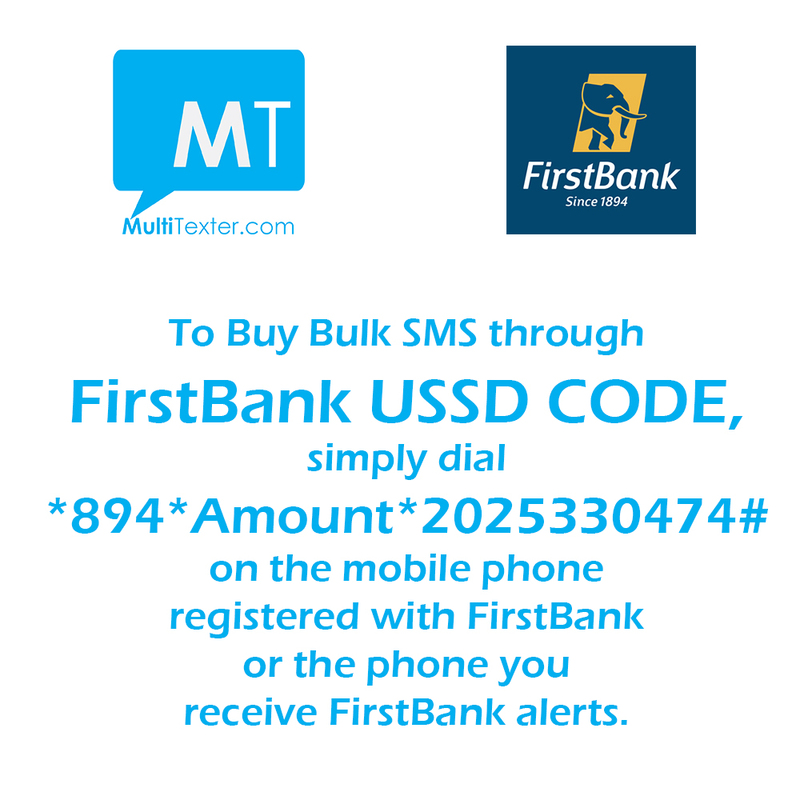 No wonder bank transfers are done more often with the USSD transfer codes than the bank mobile apps. To receive SMS or text, you don't need any special skill or special phone. Just own a mobile phone that is as low as N5,000. Not all WhatsApp get your message instantly, either because they are offline, poor internet or several chats have occurred (in a WhatsApp group). But a text message or bulk SMS gets to your contacts immediately as long as the phone is on. 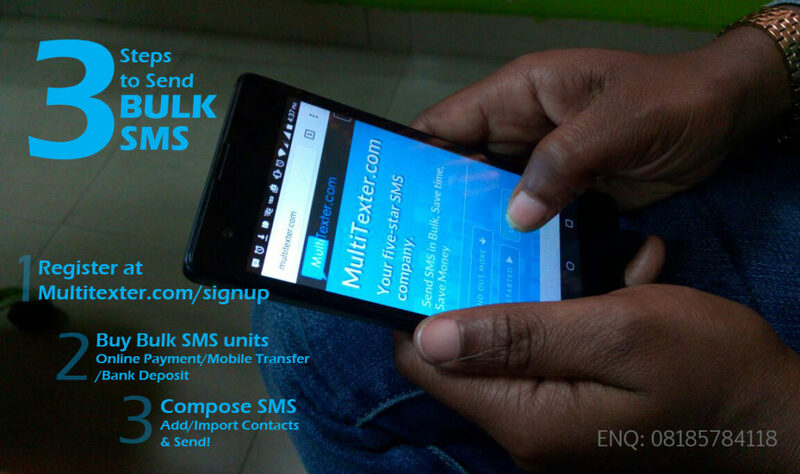 "You can get easy steps on how to send bulk SMS in Nigeria and recharge anytime to get your SMS units. Then you can send your bulk SMS." Until the cost of internet and the price of smartphones drops, SMS is still king! How do I pay for bulk SMS and get credited with my SMS units instantly? This is simple, easy and fast. You can also use a working ATM machine to make a transfer ad get units instantly. Click Buy Bulk SMS With ATM on your account, follow the steps and your account get credited with bulk SMS units instantly. You can use your MasterCard, verve or visa card. 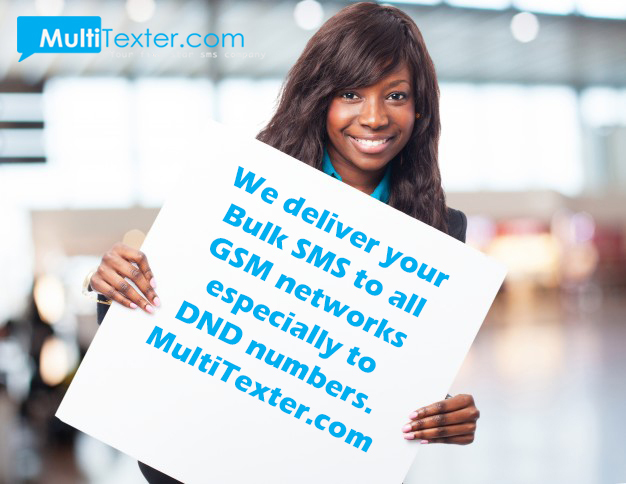 "On Multitexter, your bulk SMS delivers to DND numbers instantly." REGISTER by clicking open a bulk sms account. RECHARGE by Buy Bulk SMS through mobile transfer or bank payment Account: LORDANDI SOLUTIONSCORP Zenith 1013623868 GTBank 0050933658 Diamond 0057723432 First Bank 2025330474 Fill Email as Depositor's name (bank deposit) or Remark/Narration (mobile transfer). SEND SMS by logging on to your MultiTexter bulk SMS with your email and password to send your SMS. Starting and running a business requires communicating with people. Reaching people has been made simple with fewer technicalities or skill set. Especially with the evolved usage of several mediums of passing out information: Emails, Bulk SMS (text messaging) and social media. SMS provides nearly the closest contact with your target recipient, of all the other mediums. It is required that you open a Bulk SMS account with us on MultiTexter website or on MultiTexter bulk SMS App. This enables you to have a private space on the mobile marketing medium ensuring you enjoy all features on the App and Web. Sending Bulk SMS with your company’s or business name as sender creates a great perception and excellence feel towards your customers or audience. Register here. Buy Bulk SMS units through mobile transfer or bank payment or online payment with your debit card. 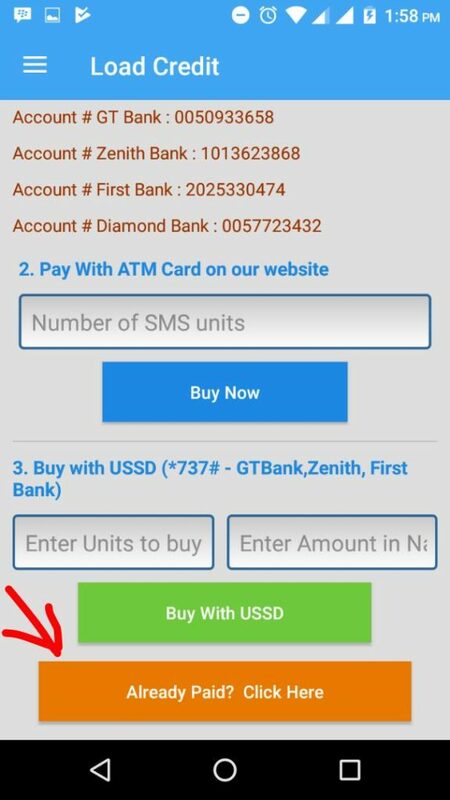 Account Name: LORDANDI SOLUTIONSCORP Zenith 1013623868 GTBank 0050933658 Diamond 0057723432 First Bank 2025330474 Use Email as Depositor’s name (bank deposit) or Remark/Narration (mobile transfer). Go to the COMPOSE SEND SMS. 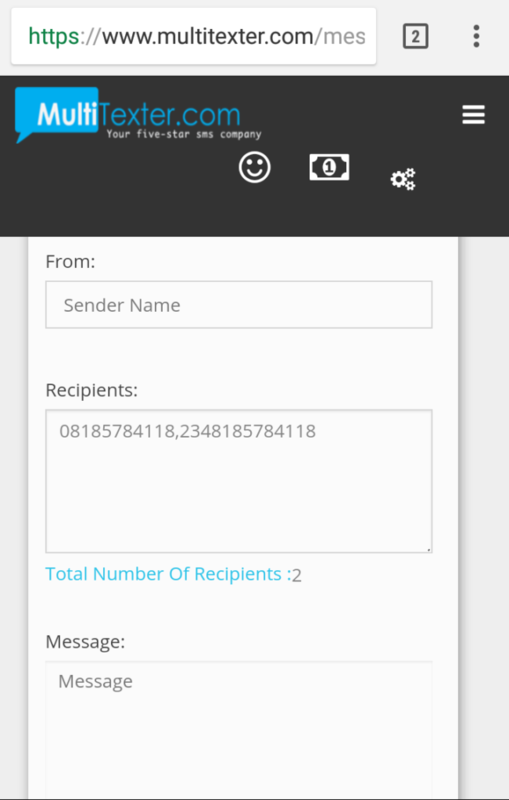 Fill in your Sender Name, Recipients’ phone numbers and Compose your message content. It is required that you open a Bulk SMS account with us on MultiTexter website or on MultiTexter bulk SMS App. This enbles you to have a private space on the mobile marketing medium ensuring you enjoy all features on the App and Web. Sending Bulk SMS with your company’s or business name as sender creates a great perception and excellence feel towards your customers or audience. Register here. You are on the right bulk SMS website with the GSM database from Lagos, Abuja, PortHarcourt, and other states in Nigeria. Click our GSM database, to get the contacts categorized by State, Local Government Areas and Gender ONLY. Step 1: Get the SMS units first. See Step 3. You get the contacts/numbers with your SMS Units. 1 unit gets you 2 numbers. For example, with 250 units in your account, 500 numbers from Lagos, Select Lagos in this link, you will can get 500 active contacts. 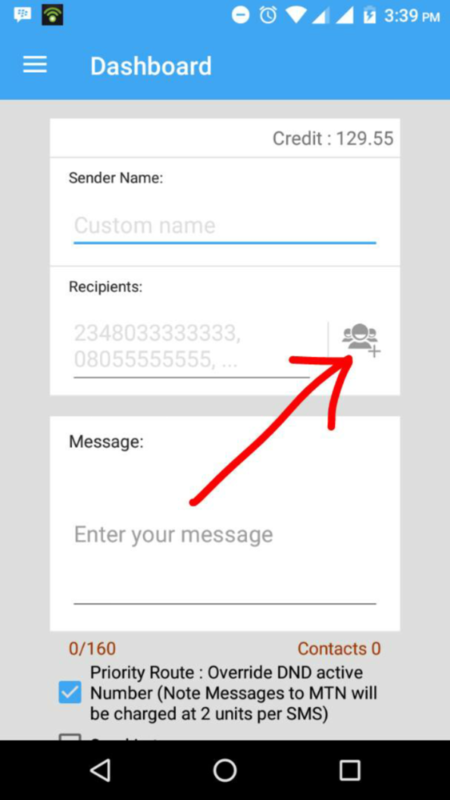 Step 2: To send 1 SMS page to the 500 numbers you bought, you need 500 units (N1000) to send. All the units you will need to buy 500 numbers in Lagos and send SMS is 750 units (N1500) Step 3: Buy the SMS units through mobile transfer or bank payment Account Name: LORDANDI SOLUTIONSCORP Zenith 1013623868 GTBank 0050933658 Diamond 0057723432 First Bank 2025330474 Use Email as Depositor's name (bank deposit) or Remark/Narration (mobile transfer). [caption id="attachment_2733" align="aligncenter" width="750"] CLICK IMAGE TO GET STARTED[/caption] Check out our cheapest pricing here. Let us know if you need further assistance you can mail us or reach online. No matter the volume of contacts you need to contact your event, using bulk SMS can help you out. You can reach people through text message or SMS with ease. Since there are no special skills to receiving SMS or the need to connect to the internet/data to get a text on your mobile phone (smart or dull/non-smart). 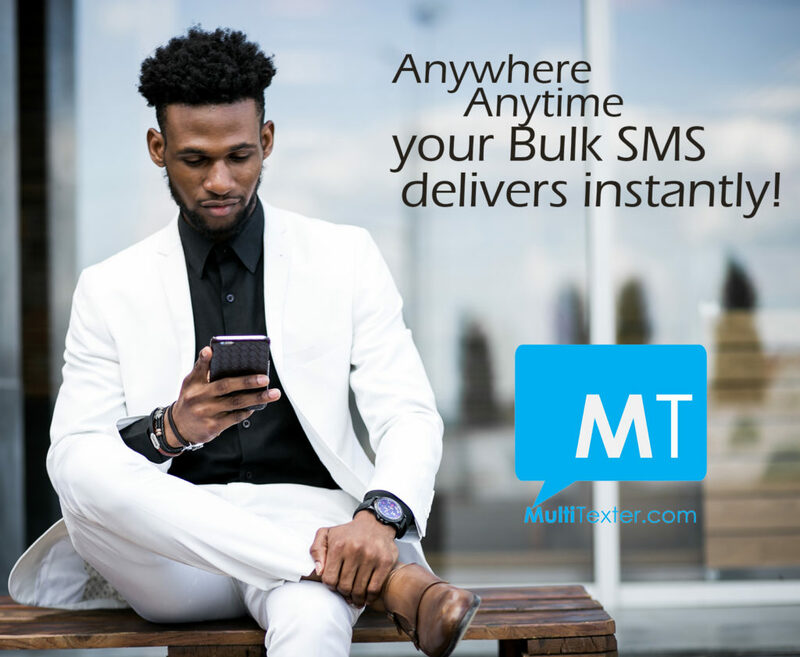 "With MultiTexter Bulk SMS you can speak to millions of Nigerians"
Now you see why text messages work faster, better than any other form of communication. 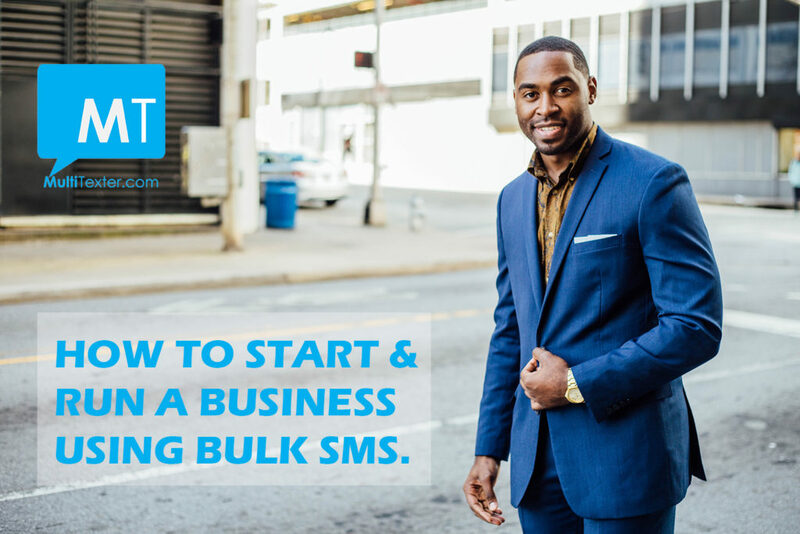 So let us take you through the simple 3 bulk SMS steps: STEP 1 Sign up to get a free bulk sms account or install the bulk sms app to get started. STEP 2 Recharge your bulk sms through Mobile transfer or Bank deposit or Online with your debit card or without your debit card. You can check out our pricing and choose the best bulk sms pack. 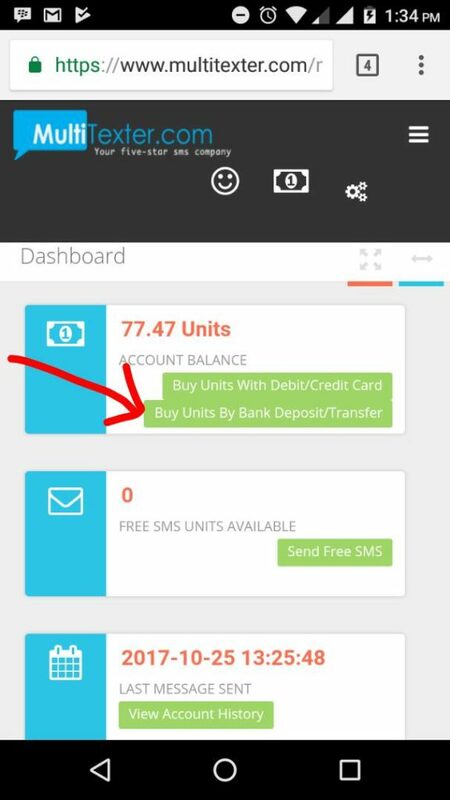 STEP 3 Compose your bulk sms after getting your units. 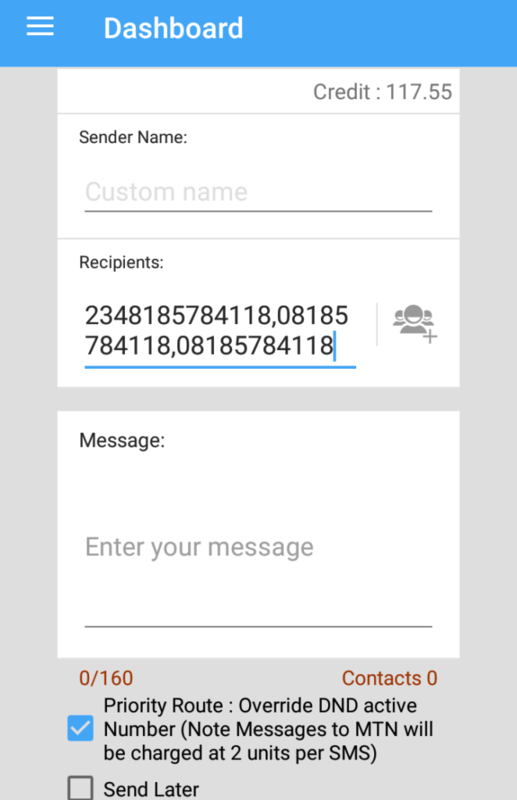 Fill in your customized Sender Name, add the numbers and Send! With bulk SMS, you can also send special seasonal greetings, business promos, wedding invites, updates, prayers.